A complete and detailed introduction and overview of soft craniosacral-bodytherapy for beginners and therapists. 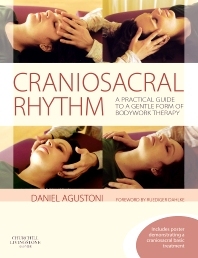 The book covers aspects on how to give a craniosacral-treatment. Every position is explained in words and with photos. The book includes more than 20 illustrations, 100 black and white photos, and an extended part with FAQ. It includes a detailed treatment-protocol and a poster with a basic-craniosacral-treatment. This is a comprehensive introductory textbook which includes different possibilities of techniques, many practice-tips, FAQ and treatment-poster. 1.9 The efficiency of the craniosacral treatment: How many sessions at what time intervals?